Backed by the profound experience of the industry, we have been able to offer a range of Construction Chemicals. The range offered by us comprises Construction Chemicals SIKA, Sunanda Specialty Coatings, Fosroc and BASF. Clients can buy these products from us in packs of variegated quantities, in accordance with their requirements. Further, for retaining quality and ensuring safe transits, we provide these products to patrons in excellent quality material. 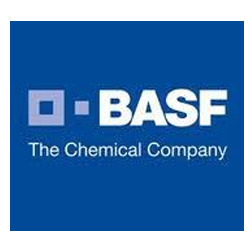 Known as a blooming firm, we are instrumental in providing optimal grade BASF Construction Chemicals. The provided construction chemical is used in interior walls of buildings for protecting the wall from dampness. This construction chemical ensures longer life of the walls and is perfect to make mortar & concrete and prevents the surfaces from water absorption. It is processed at our end by utilizing premium quality chemical compounds and sophisticated processing techniques. We offer this construction chemical at economical price range to the clients. The immense support of our skilled professionals, we are providing clients Fosroc Construction Solutions that are used as one of the important construction material. Further, these construction chemicals are precisely processed by making use of excellent grade chemical substances at our sophisticated processing unit. The offered construction chemicals are made available for our reputed clients in a range of packaging options and can be purchased from us as per the needs at affordable rates. With the help of our deft experts, we offer Roff Construction Chemicals and tiling solutions. As the name suggests, there are procured from renowned manufacturers, hence assured of quality. Clients can buy these chemicals from us in packs of varied quantities.